Members Area Help > How do I use Join Me for a support call? How do I use Join Me for a support call? 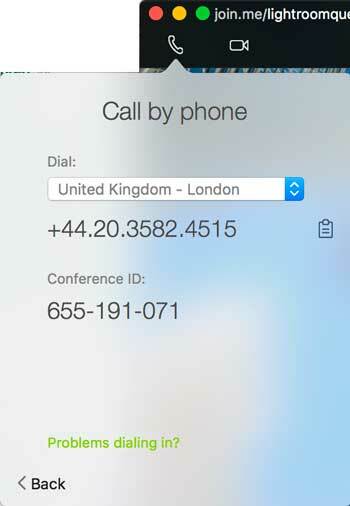 If you’ve booked a support call, we can use Skype or Join.me. Unlike Skype, Join.me allows me to control your screen with your permission, although it requires an additional app. A computer with microphone (many laptops have a microphone built in) and speakers/headphones (headphones help to prevent an echo). A webcam is not needed. If you don’t have a microphone, a conference call number may be available. 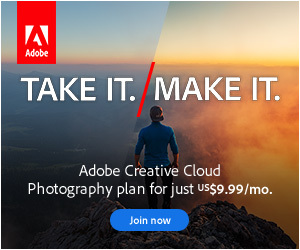 You don’t need to sign up for a Join.Me account or trial, as we’ll use my paid account. I recommend you join the call a few minutes early, so we can troubleshoot any connection issues. I aim to open the room at least 5 minutes early so we can make sure everything’s working. To join, click the link I send you by email when I confirm the call. It automatically connects to the conference room using your web browser (or the Join.Me app, if it’s already installed). If I’ve forgotten to unlock the door, it may ask for your name. In the top left corner, click the phone or speaker icon (icon depends on app version). This gives you a choice of calling via the internet or telephone. 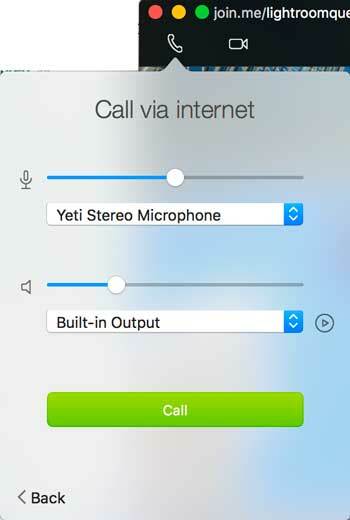 To call using your internet connection and microphone/speakers, which is most people’s preferred option, click Call via Internet, select your speakers and microphone then click the Call button to connect. 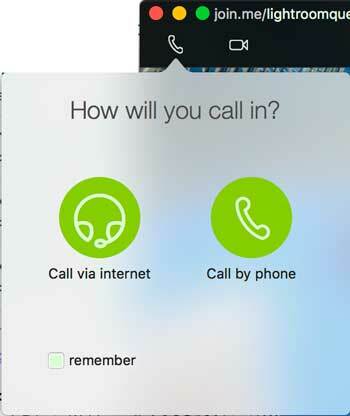 If you prefer to use your landline, click the Call via Phone icon then select your country from the pop-up. Dial the number shown, and when prompted, enter the conference ID. Don’t switch to speakerphone until AFTER you’re connected, or it may refuse the conference ID. 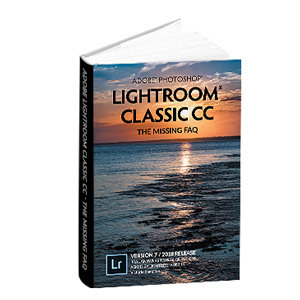 To check for local numbers in advance, click here and enter lightroomqueen to see which country/state telephone numbers are available. Please note, call charges may apply depending on the number used and your call plan. If you run into trouble connecting the audio, there’s a troubleshooting guide here. 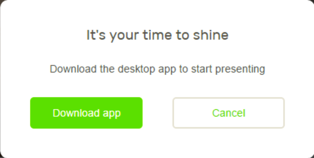 When I ask to view your screen, the browser will pop up saying “It’s your time to shine” and asks you to download the app. The download is small and completes quickly. Find the download in your Downloads folder and run it. If you’d like me to point out things on your screen or make changes, again, I can ask for permission to do so, but again, it’s up to you to accept. 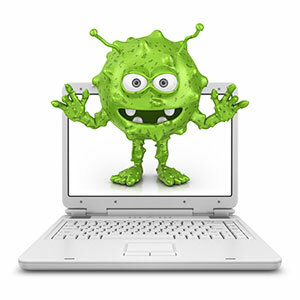 You can stop sharing your screen at any time by clicking the monitor/pause icon at the top of the screen, so you remain in control. When we’re done, simply close the app to exit the call. How do I create and manage collections?